Take care of them all with this monster, grounded and surge-protected wall tap with (6) outlets plus (2) USB ports--and everybody needs USB ports. 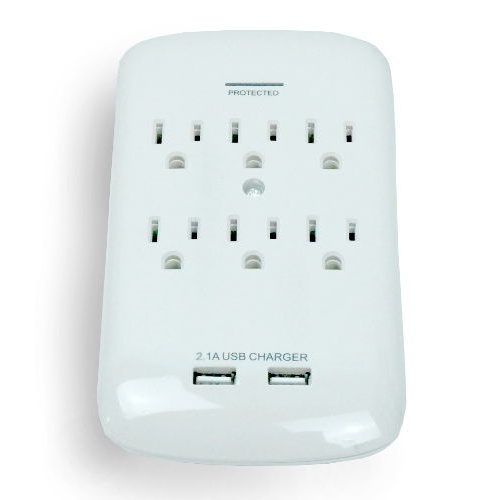 Converts a standard double outlet to an 8-way source that will support up to 15 Amps. 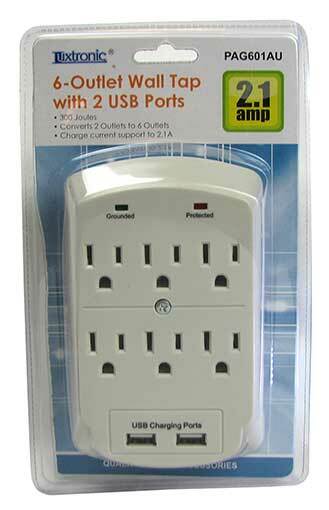 USB puts out 2.1 Amps. Measures 5-5/8" x 3-1/2" x 1-5/8" in a light gray/beige color. ETL listed. 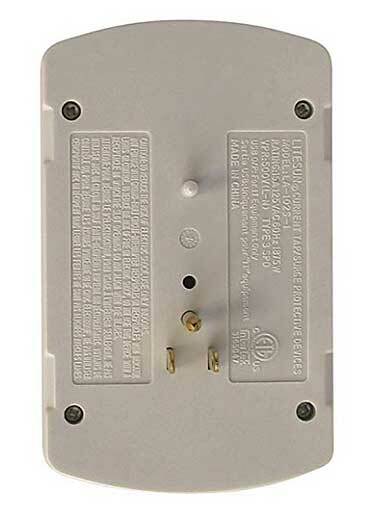 Even includes the center screw (most don't) to anchor it to the wall plate so it wont pull out! 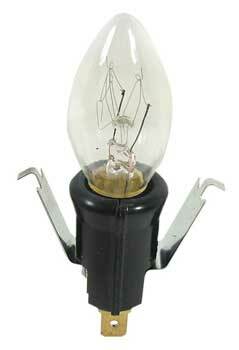 Why curse the darkness when you can light these 120V 30W candelabra bulbs in the electric candelabra you build. Which you can do because each bulb comes in a matching socket, dark brown, 1-1/8" tall x 13/16" dia with steel wings to compress it into a fitting. 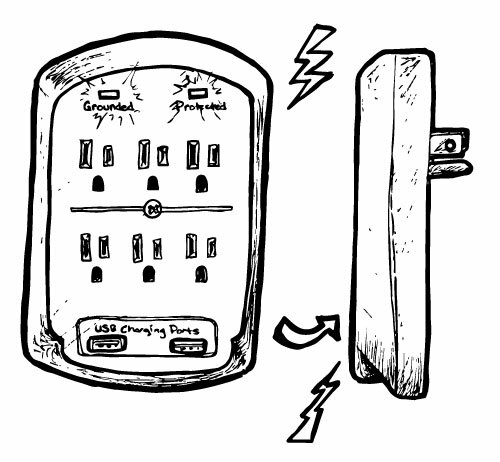 Each socket is rated for up to 75W and has quick-disconnect terminals on the bottom. UL. 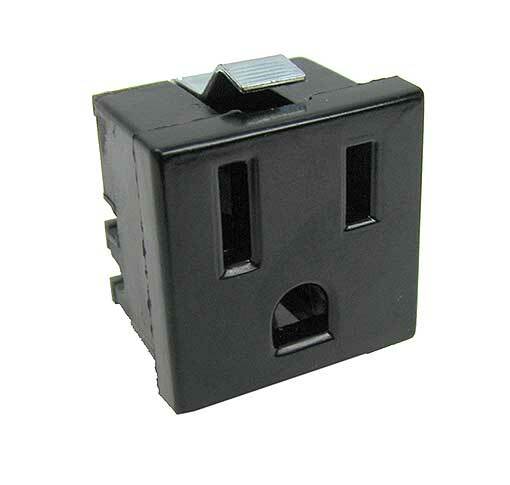 This panel-mount, grounded outlet from Eagle Electronics is rated for up 15A at 125V, and measures 1” square. You’ll need 1-1/2” clearance on the back. 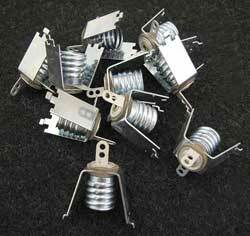 Has a pair of retaining clips, (2) spade terminals and a ground screw. UL/CSA. An 11/16" long x 7/16" ID steel socket for candelabra bulbs. Two tabs come up from the bottom to panel-mount it. Add power through another tab bent downward and one extending out to the side. No need start clapping and look like a fool when you screw in one of these standard bulb sockets with a photocell that will automatically turn on your bulb when the daylight dims. Rated for up to 100W. (May not work with some LEDs.) 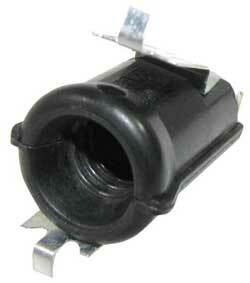 Good for outdoor use as long as the fixture is shielded. 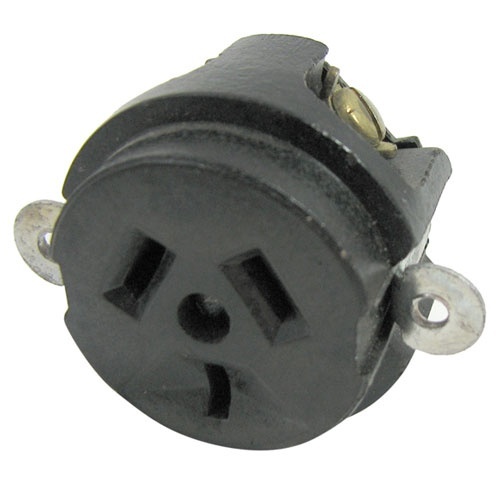 Time was, these NEMA 10-20 female receptacles were standard for large air conditioners, and if you need one, we've got 'em. 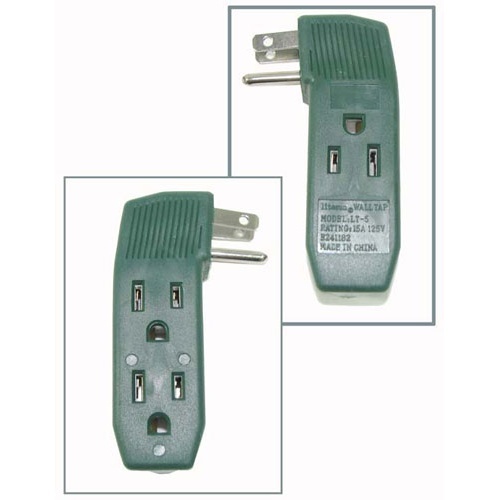 These are Hubbell brand, 3-screw terminal type with a pair of mounting holes on the sides. 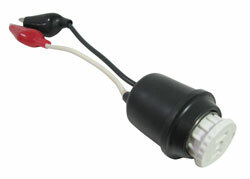 Rated for 10A at 250V and 15A at 125V. 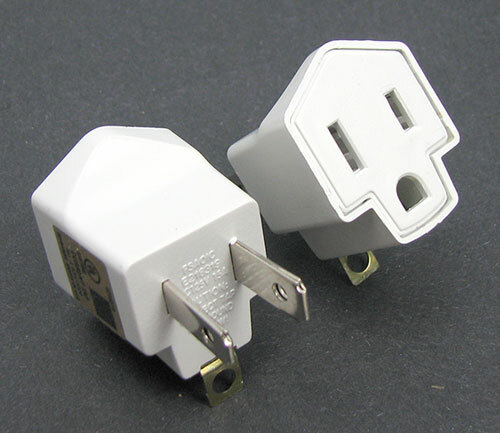 Best get these standard, generic, everyday grounding adapters for when you have a three-prong grounded plug and an old-fashioned two-prong outlet. 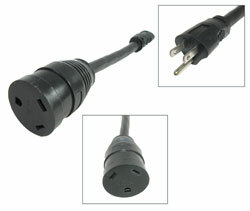 Our pkg(2) nets you (4) adapters. UL. You get no points for guessing why this is called a dog-bone adapter, but if you own an RV you know anyway. This has a 9" 12/3 AWG cable between the standard grounded male plug at one end and the female RV/mobile home receptacle at the other. (It's 12" overall.) Rated for 15A at 125VAC. What we have here is a standard medium bulb socket attached to a pair of insulated alligator clips with 5" leads, plus a screw-in medium base two-prong outlet, which turns any light into a 120VAC socket. Time was, it was part of a fusebox tester, but now it's just a bargain.